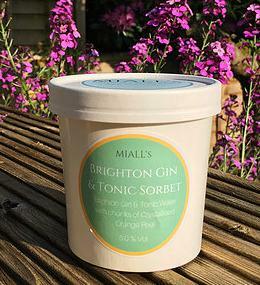 Brilliantly Boozy Sorbet produced locally! Made fresh fruit juice and plenty of booze! Five delicious flavours, Passion Fruit Martini, Raspberry Prosecco, G&T, Minty Mojito & Brighton Gin!